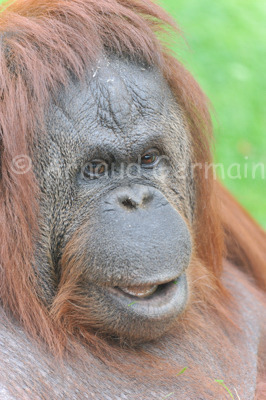 Orangutans are another favourite with zoo visitors as they are so human like, in their habits and facial expressions. I took this picture at Twycross Zoo in Staffordshire. I shot through glass, using my 500mm lens, which I put right against the window of the enclosure. I also used the Optical Stabiliser on the lens and raised the ISO on the camera as I was handholding it.